Our main guests on our March night were Harbottle and Jonas, a young duo from Devon whose eclectic music accompanies great stories. They put on a great show and went down superbly well with a larger than usual club audience. The duo combine the rich traditions of folk music with original and contemporary interpretations. Their music, performed on concertina, harmonium, and acoustic guitar is unique. Our featured guest for the evening was Peter Hood, a singer-guitarist from Lowestoft, who runs the Waveney Folk Club in the town. The evening kicked off with floorspots from, Holly D. Johnston, who sang songs from her forthcoming album. This was followed by Alan Day, who performed Stanley Holloway’s monlogue My you do look queer, tunes on the concertina and a musical song. And finally, for the first time at the club Less Than Perfect, a local duo who performed acoustic versions of well-known pop songs. It was an all-round good night. The main guests on our February night were The Jigantics, a four-piece band from Gloucestershire. They played a blinder and went down very well with our audience who appreciated their varied repertoire and their excellent playing. They began with Louden Wainwright III’s Swimming Song, a bizarrely surreal song which has always been a favourite of Simon’s. Their Americana tinged with Cajun is not something we hear too much of in these parts – sadly. If you missed them at Hadleigh, there’s lots more about the Jigantics, including video samples, on their website. Our featured guests were Simple Folk a Suffolk duo comprising Rachel Dodd and Steve Christopher who are building a reputation across East Anglia, and rightly so, with their stripped back versions of contemporary and traditional folk songs. Listen to samples of their music on their Facebook site. The evening opened with floorspots from Tom Crossthwaite, Tanglethread and Terry Hiscock & Roger Trevitt, whose Buddy Holly cover of That’ll be the Day, complete with glockenspiel, got some of the audience taking themselves back 60 years and joining in. Revival is an Essex trio featuring singer Rachel Hack, guitarist Peter Slater and bass player Roy Bartholomew. The group sang a mixture of popular traditional songs, some of Irish origin and more contemporary compositions, including Nancy Kerr’s Queen of Waters. Revival formed in 2015 and have gradually built up a local fan base through their appearances at clubs and festivals in East Anglia. In August 2018, they appeared at Folk East Festival. 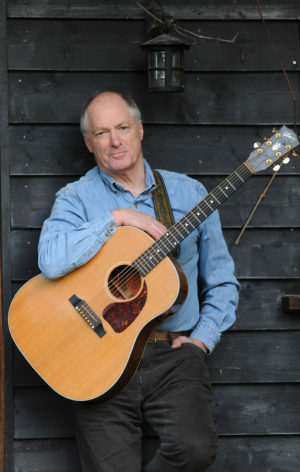 Stan Harvey is a Colchester-based singer of what we now term Americana. Having spent most of his musical life since the age of 15 playing in duos, trios and bands, Stan recently decided to take the logical step of going solo – and it’s proving a popular decision. We had two main guests on December 14th: Cambridge and Walker and Tony Winn. Tony very kindly stepped in almost at the last moment to replace Rosewood as Phil Lyons their singer guitarist was being operated on on that very date. Crayon Angels who were to have been our featured guests also had to cancel for health reasons. Despite these setbacks, it was, as ever, be a great evening of music. 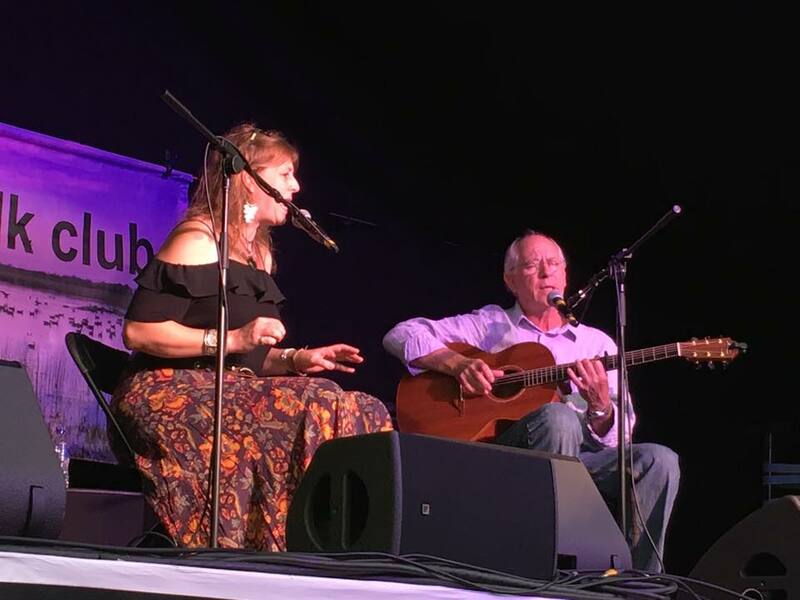 The duo Cambridge and Walker came about as the result of a mutual interest in traditional songs, especially harmony singing, arising from individual performances at Blackfen Folk Club. David (Cambridge) sings and plays guitar/guzouki and has been building a reputation as a singer/guitarist in Cambridge and the surrounding area- his love of the guitar is such that he spends a good deal of his time building them. Jenna (Walker) sings and plays melodeon/piano accordion and has been singing in Cambridge for many years. She recently completed a Masters in Traditional Folk Music. 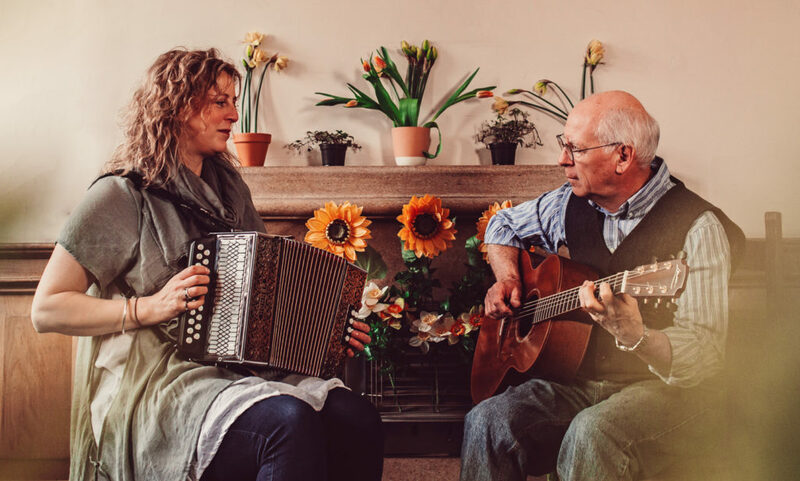 In their time together, they have appeared on local radio (Cambridge 105; West Norfolk Radio) and played at various folk clubs in East Anglia, with headline appearances at Cambridge, Blackfen, Great Bardfield, Milkmaid (Bury St Edmunds), Royston, and Thetford Folk Clubs. There is more information on their website here. 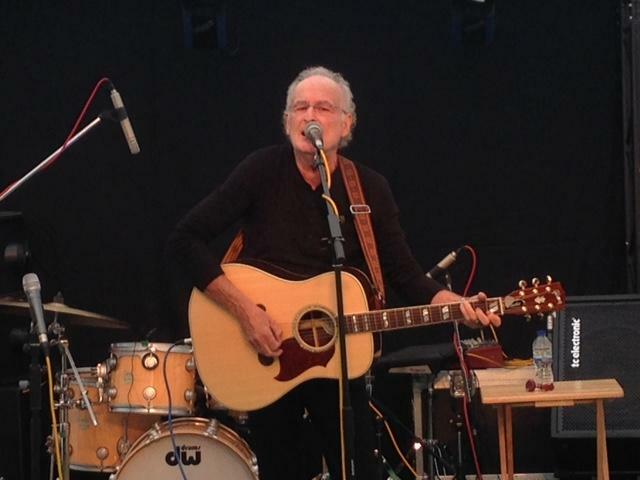 Singer-songwriter Tony Winn has played at Hadleigh on several occasions in the past and has always proved a success. Accompanying himself on acoustic guitar, Tony mixes the touching with the hard-hitting, the poignant with a laugh. He sings about humankind and its world, reflecting his own oblique views on life as a member of the human race (which he is determined to win!). Among Tony’s influences are Tom Waits, Bob Dylan, Loudon Wainwright, Randy Newman and The Beatles. Come and Go with Me is one of the songs from Tony’s most recent recording. The evening started with floor spots from The Hadleigh Community Choir, who sang Christmas songs including the great Steeleye Span single Gaudete, and singer guitarist Terry Hiscock. Our main guest on this freezing cold night was Kelly Oliver making a first visit to Hadleigh and coming all the way from Stevenage. Kelly treated our audience so a combination of traditional and self-penned songs, accompanying herself on guitar and introducing her material in an informative and charming way. Many of the songs were from her new (third) album Botany Bay. Our audience were fully absorbed in Kelly’s performance – so much so between songs you could hear a pin drop. Her final song Molly Malone (aka Cockles and Mussels) had the audience singing merrily along. One member of the audience knew all the words. The video below is a song Kelly wrote in memory of her grandmother who came originally from Tralee in Ireland. 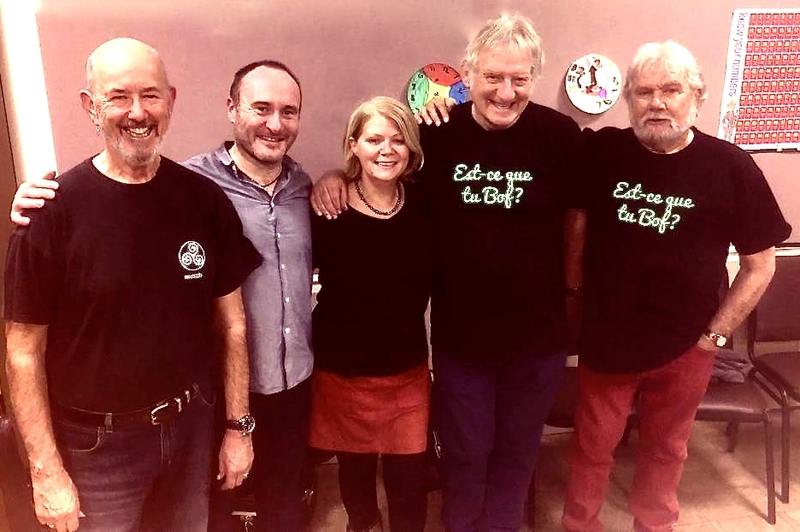 Our Featured guests were the six-piece Bards of the Heath a band put together by John Goodluck, known maybe to some of you as a folk singer, the leader of the folk rock ceilidh band Trunkles and presenter of the local radio folk music show Folk-al-pint. They played a variety of traditional songs and modern compositions on traditional themes – and got us singing along to John Barleycorn. 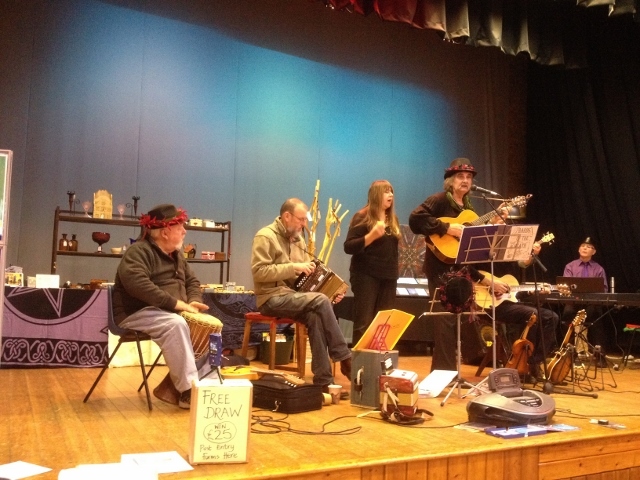 Bards of the Heath were formed in 2004 as a musical unit in order to take on gigs at unusual venues, such as events in the Ipswich Museum and found that many of John’s earlier Ballads from the 70’s fitted in with the Bardic theme of poetry & stories. 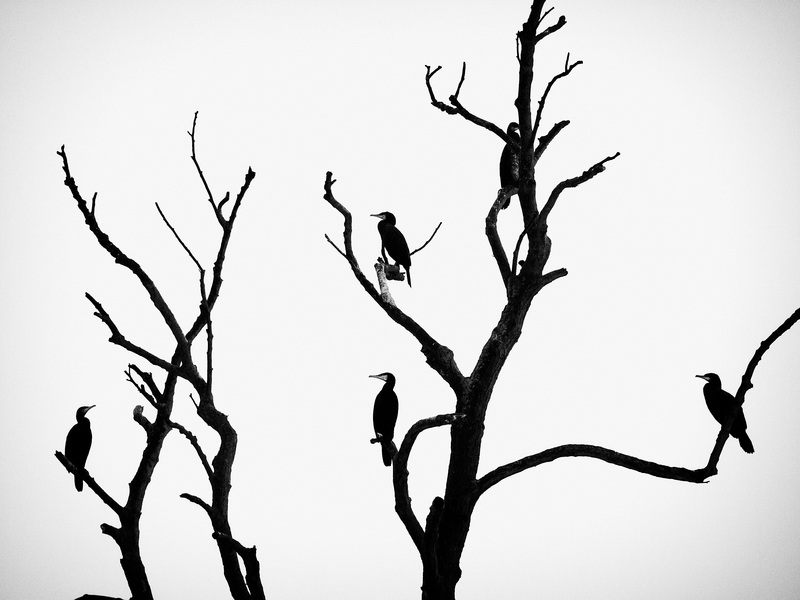 There is plenty more about John Goodluck and Bards of the Heath here. The evening began with a song composed and sung by Sarah Thompson, Lest we forget, to the tune of She Moved Through the Fair. The song tells the story of a young man going off to France during the First World War and was composed to be sung during the Festival of Remembrance to be held in the United Reformed Church in Hadleigh on 10th November. Sarah was accompanied by Val Haines on recorder and Simon Haines on melodeon. Our Featured guest was Peter Kerr and Friends who won our audience over with their chorus songs – many of which were popular in the 1950s and 1960s and which were remembered by everyone, who sang along with gusto. The evening started with floor spots from Bill Johnston, Rosewood and Jackie Ord. When Jackie finished her set the audience persuaded to sing the song she is best known for. Two River View Wrabness. 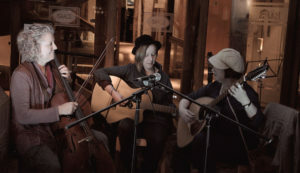 Our main guests on September 7 were The Shackleton Trio. It was a great night.Georgia Shackleton (fiddle, vocals), Aaren Bennett (guitar) and Nic Zuppardi (mandolin). played an original blend of folk and self-penned material that showcase Georgia’s unique songwriting skills, alongside a vibrant display of instrumental brilliance influenced by British, American and Scandinavian folk traditions, with a regional twist from the group’s native East Anglia. Together they have toured the UK, Belgium and the Netherlands, appeared at Rotterdam Bluegrass Festival, Cambridge Folk Festival, Towersey Festival, Broadstairs Folk Week, Folk East, and concert halls and folk clubs across the UK. There is more information about trio on their website. 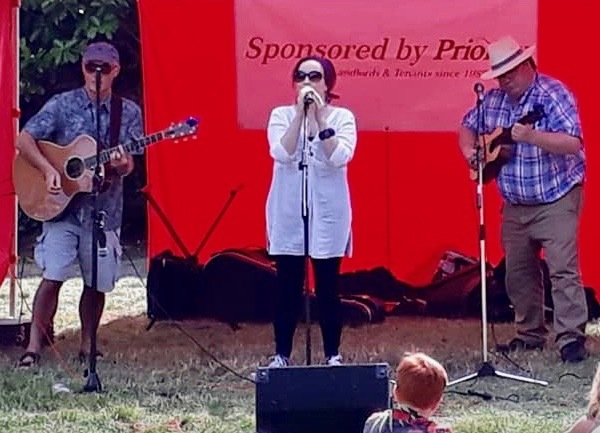 Our Featured guests were The Somali Road Attic Band – that’s Linda Baddeley (vocals), David Bartlett (vocals, guitars, harmonicas and percussion) and Richard Byers (vocals, guitar) – a trio who grew together out of the regular nights run by the Bury Folk Collective. 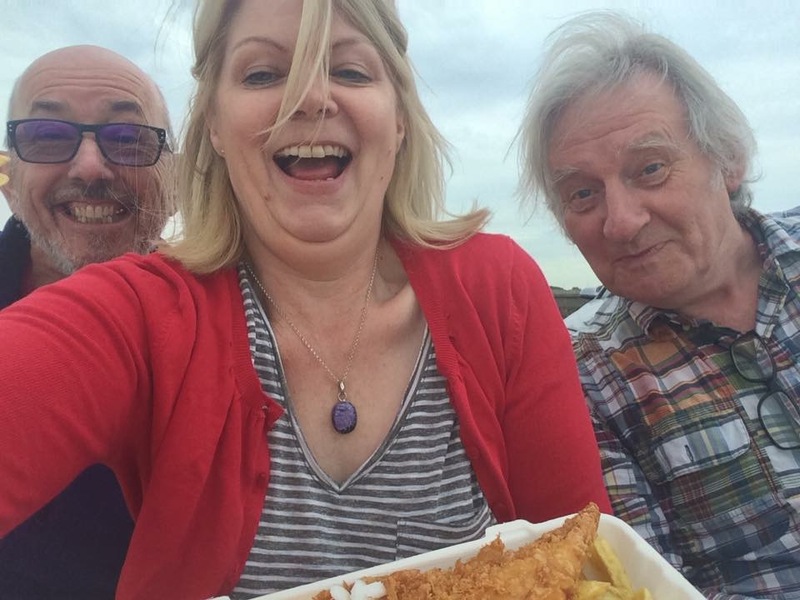 This West Suffolk-based trio are passionate about what they do and are dedicated to having fun playing the songs they love – in this case, an eclectic mix of covers that includes Dylan, Ewan McColl, Richard Thompson, America and the Decemberists. This is folk music from people who have sung and played a lot of folk music – expect an unmissable, unforgettable Somali Road Attic Band take on some great songs. 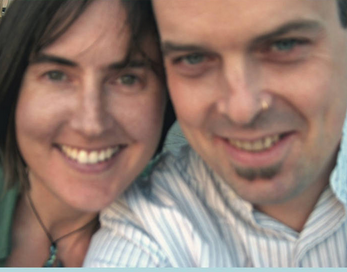 You may know Linda Baddeley and David Bartlett as members of Sound Tradition. The evening opened with floor spots from regular Alice Martin, Simon and Val, and The Merry Harriers who brought an unusual but very welcome set of Irish tunes and songs to the club. Here they are playing at Ely Folk Festival a couple of years ago. There is more information about Red Velvet on their website. Our Featured guest is Stephen Foster Pilkington from Brightlingsea. He did a floor spot some time ago and we decided then that we’d like to hear more of him. He’s a difficult performer to classify – possibly a deliberate policy on his part. He performs solo and with rock bands. You can hear more on Stephen’s Facebook. Unusually for Hadleigh our Folk and Acoustic Music Night this month was on the second Friday of the month. We had two local acts: Harbour Lights Trio and Terry Hiscock. 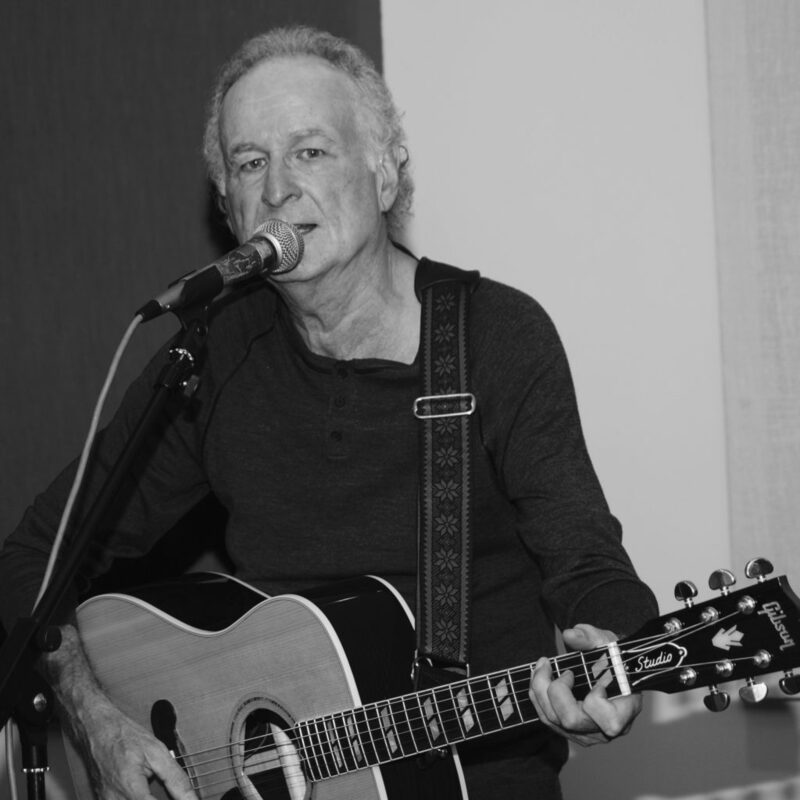 Our Featured guest has appeared several times at Hadleigh: the popular singer-songwriter and excellent guitarist, Terry Hiscock. Back in the day he was a founder member of the folk-rock group Hunter Muskett, who played alongside Steeleye Span and Fairport Convention. On this occasion, Terry brought a fellow member of Hunter Muskett to play with him: Roger T played guitar, sang and did a great glockenspiel accompaniment to the Buddy Holly song, Everyday. We hope to book the full band some time at the club. 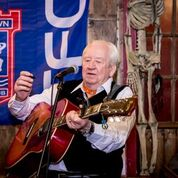 Watch a video of Terry playing at a Hedingham music night. This was our annual French evening leading into our weekend of workshops music and dance. There were no floor spots this evening, but performances from two local bands and one from France. We kicked off the evening with Breton and French songs from Gwendal Moële and Bof! Check out their website. 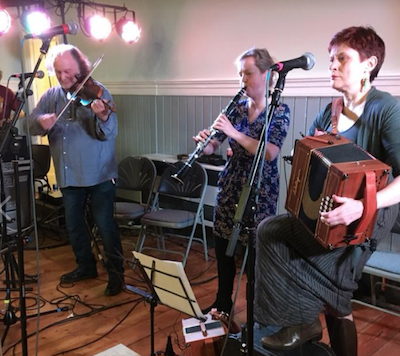 Next came a new trio: Shepherd, Pack and Veal – from various parts of the UK – playing a variety of instrumentals on violin, accordion and clarinet. Dave Shepherd and Anna Pack have played for us before, but this year they were joined by Jo Veal from Sheffield. Top the bill this year will be the wonderful La Chavannée from Château-sur-Allier in central France. The 8-piece version of the band included some of the most respected traditional musicians in France, including two generations of the Paris family: Frédéric, Manu and Eveline, Catherine, Gabrielle and Mathilde with Maxou Heintzen and Patrick Bouffard. La Chavannée have not visited the UK for several years, so this was a very special night. Here they soon after their arrival. There are plenty more YouTube clips of the band. You can find out more about La Chavannée on their website. Sadly, for the time in our seven years we had to cancel one of our evenings due to bad weather. Below is the programme you would have seen and will now see next season. This is another of the occasional evenings when we have two main guests. This time it’s Rosewood and Walker & Cambridge. Rosewood comprises Phil Lyons, Simon Haines and Val Woollard. Determined not to be pigeon-holed, they include in their set a wide range of songs and tunes that can be described as “folk” in the broadest sense. These are played on a collection of acoustic instruments. There’s loads more about Rosewood on their website here. Cambridge & Walker are a duo from Cambridge who are making a reputation for themselves throughout East Anglia. 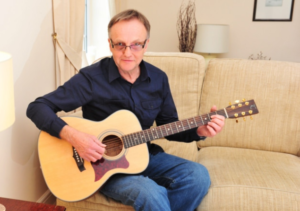 David Cambridge sings and plays guitar in Cambridge and the surrounding area. Jenna Walker sings and plays squeezeboxes and has been singing solo for many years. During the 2016 festival season , David and Jenna decided to try try working together as a duo. They went public in the autumn at Black Fen, Cambridge and Bury Folk clubs and friends and audiences convinced them to carry on. Crayon Angels are an acoustic guitar-driven trio combining songs influenced by some of the British greats (Richard Thompson, Ray Davies, Andy Partridge etc. 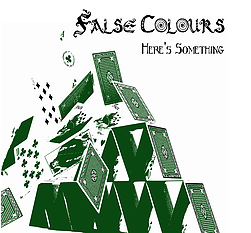 ), delivered by a soulful female vocal and coloured by atmospheric electric and slide guitars. Sadly, for the fiOur main guests for February were to have been Andy Matthewson and Lisa Winship, a duo from Reading , but unfortunately Lisa couldn’t make it so Andy played once more for us as a solo singer/guitarist. Despite this and the fact that he had to borrow Jeremy Harmer’s guitar, his 60 minutes was much appreciated by our audience. Here’s a reminder of Andy’s playing and singing. There’s more about Andy on his website. Our Featured guests are Capstan Full Strength, an East Anglia group originally formed to sing sea shanties. 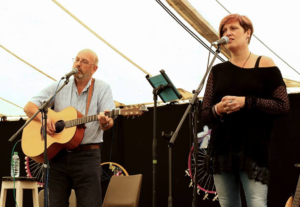 Since those early days, they have branched out and now sing a wide range of folk-related songs, many of which have choruses for audiences to join in with. Here’s a sample recorded last year at a day organised by Suffolk Folk. There were floor spots from duo The Half-Hardy Perennials, Annie Meehan and Jeremy Harmer and Josh. Main guests on our first night of 2018 were Bijoux Toots a group based on the Suffolk/North Essex border. 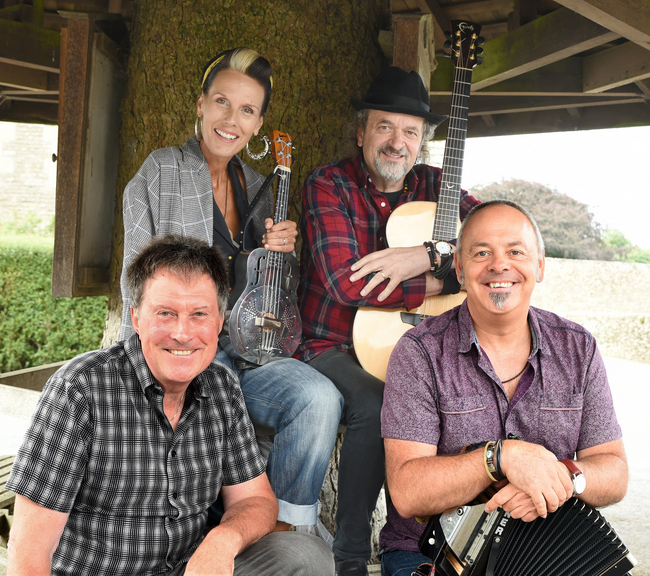 They’re a talented bunch of musicians who focus on strong vocal harmonies, combined with accordion, mandolin, fiddle, bouzouki, guitar, ukulele and double-bass. They play the widest range of material you can imagine – and got the audience joining in on songs by David Bowie and The Rolling Stones. 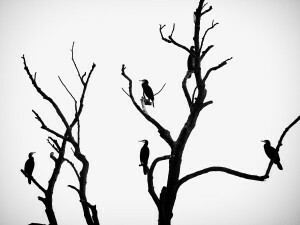 Watch them below. Our Featured Guest was Stan Harvey who did a floor spot for us last year and impressed us with his rendition of songs by American songwriters from the 1940s to the present day. In this longer set he sang some great songs. His Woody Guthrie song, Talking Dust Bowl Blues was a revelation. Interestingly, Stan avoided the well-known American songs – wisely in my opinion. You can find out more about Stan on his website here. Our evening opened with excellent floor spots from three local singers: Hazel Bradshaw, Alice Martin and Jackie Ord, whose song “Two River View Wrabness” is always a hit with our audience. In December our main guests were ALDEN, PATTERSON AND DASHOWOOD, a trio from Norwich who proved very popular indeed. Their music is clearly influenced by folk traditions from both sides of the Atlantic. There is much more to read on their website here. Our Featured Guest was Alan Day. Alan played tunes on his anglo concertina and dipped into his impressive collection of monologues, three of which he managed to cram into his set. Here’s one of the monologues he didn’t perform for us. The evening began with floor spots from Mike Green & Dave Tricker, JP on his Scottish small pipes, and Simon and Val Haines. Our main guests on November 3 were the four-piece TWO COATS COLDER. Since playing for us a few years ago, they have performed at clubs and festivals all over the country. Watch and listen to them playing at Moira Folk Festival in 2016. They did another great set for us and were much appreciated by our audience. As expected the band got our audience you singing along to their melodic and laid-back mix of original and traditional songs featuring guitars, bass, mandolin and harmonium. Our Featured Guests were father/daughter duo The O’Driscolls. Stephen plays guitar and Hannah percussion. Their unique vocals are characteristed by unusual harmonies.Watch and listen here. If you would like to hear more, go to Resonance fm radio and listen to half an hour of Stephen and Hannah talking singing. Click here. There were floor spots from Will, PJ, Tony Winn and Rachel Hack’s trio Revival. 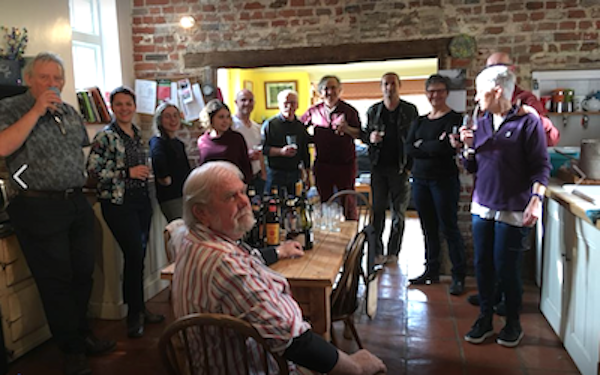 In October we had two main guests Paul Scourfield and Phil Lyons. 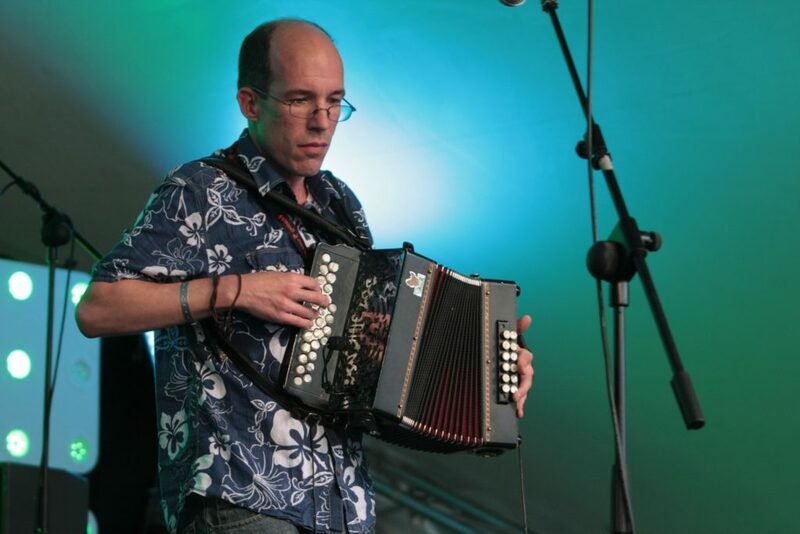 Paul is a stylish melodeon player and singer from Hertfordshire who performs material mainly from the English tradition. 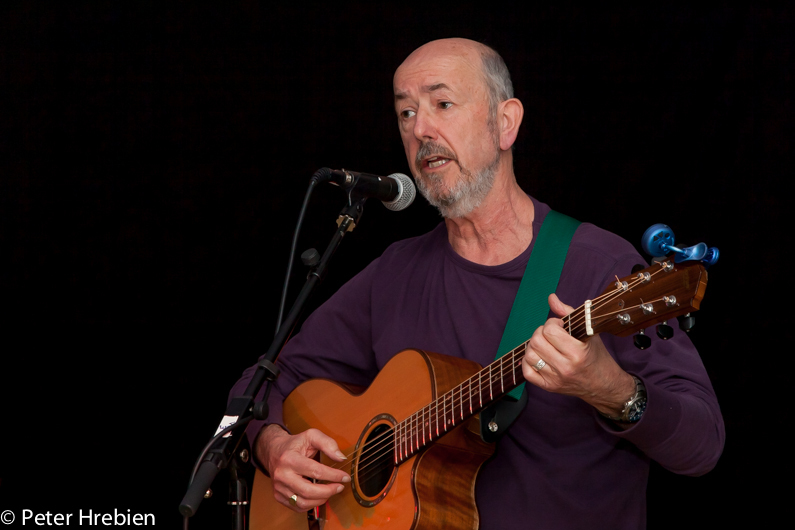 He has appeared at major festivals including Sidmouth, and Towersey, as well as folk clubs around the country. Paul is also a member of the English dance band Chalktown. In his 45-minute set, Paul alternated between songs and tunes. 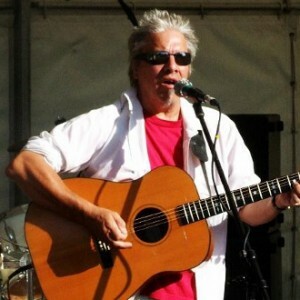 Phil Lyons is an accomplished guitarist and singer of traditional and contemporary songs. He has appeared solo at the club in the past as well as with Bof! and Rosewood. At the club on October 6th he’ll be treating us to “A Sailor’s Life” his compilation of songs and talk about life in the British navy. Phil is interested in naval life at the time of Nelson. Find out more about Phil and listen to samples of his songs here. Our main guest on the first evening of our seventh season was Terence Blacker, now a firm favourite at our club. In addition to singing what are probably his three best–known song: Sad Old Bastards with Guitars, I’d Rather be French, and The Young Girl with the Ukulele, Terence sang Still Searching for that Heart of Gold, another of his bitter-sweet songs referring back, with multiple musical references to hippy days of the early 1970s. Our Featured guests were The Columbines, a local Folk / Americana group playing original songs and their own unique arrangements of folk songs. They sang a couple of songs with Terence Blacker during his set. We started the evening with three excellent floor spots from John Hughes and friends, newcomer Anni Meehan and Megs Martin.